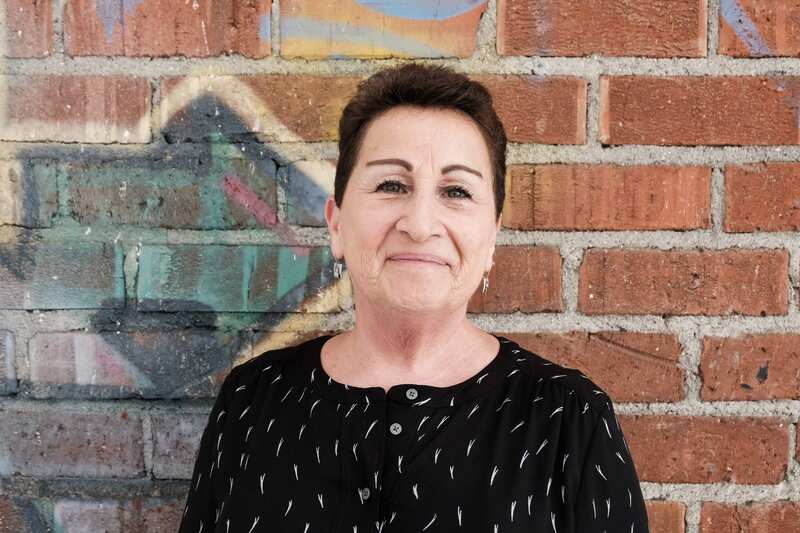 This October, Inner-City Arts will host the 2018 Imagine Awards at the City Market Social House, where we will present the Lifetime Achievement Award to our very own Chief Program Officer Beth Tishler for her years of tireless leadership and dedication. 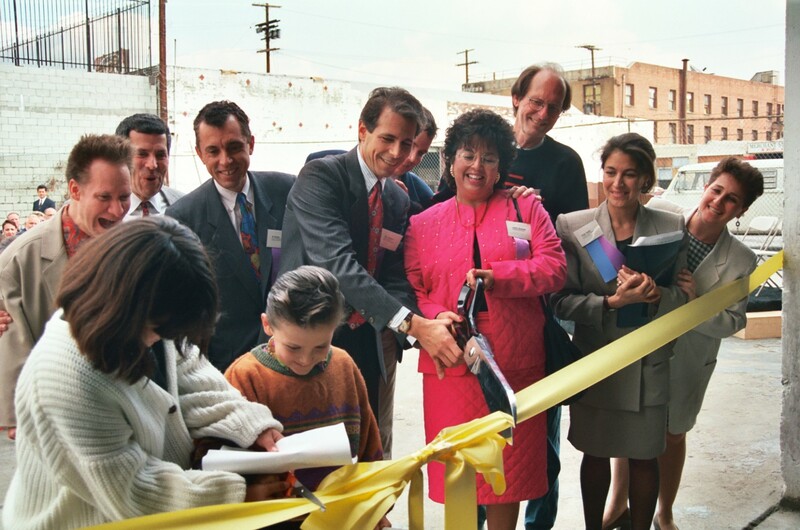 Beth (far right) at the groundbreaking ceremony day for Inner-City Arts’ new campus at 7th and Kohler in 1993. Beth has dedicated over 26 years to our organization and has seen our campus grow from an empty autobody shop to an one-acre oasis serving more than 6,500 students each year. When Inner-City Arts was originally envisioned as a “grass-roots effort” in the 1990s, Beth focused on cultivating transformational partnerships with the Los Angeles Unified School District, UCLA, and other community organizations that have been instrumental in expanding our reach, bringing quality arts education to thousands of more students and educators. From a number of capital campaigns to campus construction and new program development, Beth has carried the energy of Inner-City Arts through momentous changes and rigorous expansion. A great deal of the organization’s growth is thanks, in part, to her keen focus on community partnerships, early childhood development, and creative curriculum for nearly three decades. 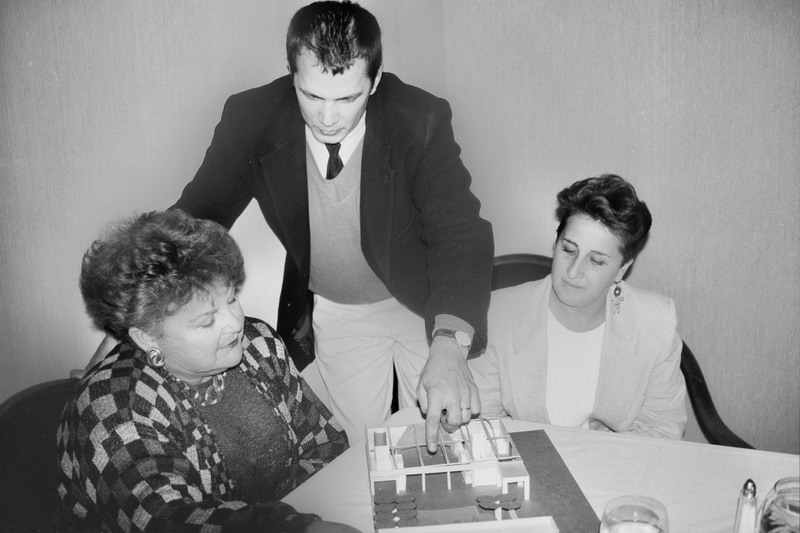 Beth (right) looking at campus expansion plans with Architect Michael Maltzan and Founders Board member Barbara Burns in 1994. 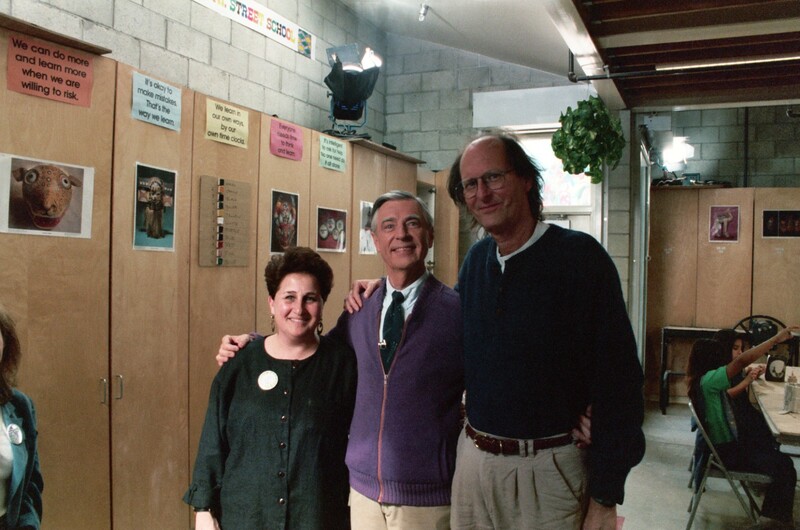 Beth (right), Fred Rogers, and Bob Bates during Mister Rogers visit to our campus in 1996. While Beth spent years cultivating strategic relationships and developing signature programs, she also brought her professional passion to Inner-City Arts — dance. Having taught dance for over 30 years, Beth was uniquely equipped to envision the Inner-City Arts Repertory Dance Company nearly a decade ago. Since then, Inner-City Arts Repertory Dance Company has grown tremendously— offering thousands of aspiring dancers a safe, supportive environment to explore through movement. 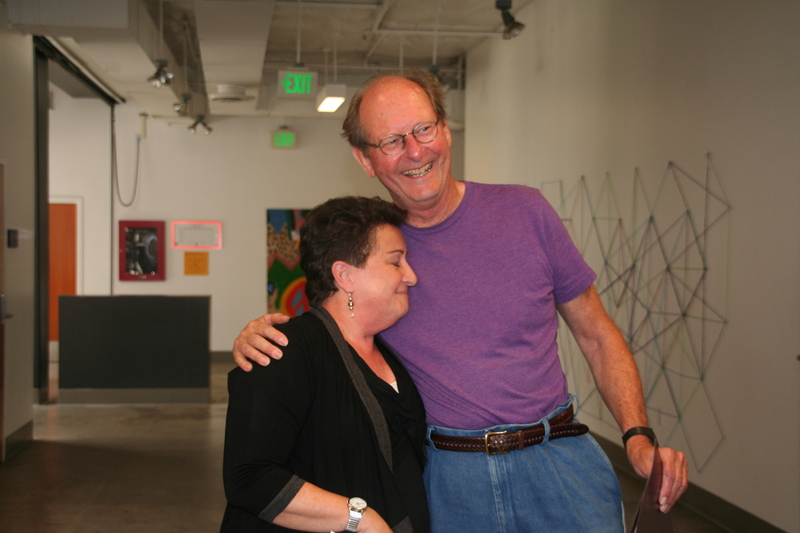 Jan Kirsch, Director of Professional Development, who danced alongside Beth at UC Berkeley and joined staff shortly after Beth in 1993, has seen Beth’s focus on relationship building transform the culture of Inner-City Arts. Inner-City Arts is indebted to Beth for years of inspiration and creativity. We thank you, Beth, for your fierce dedication and inspirational vision. 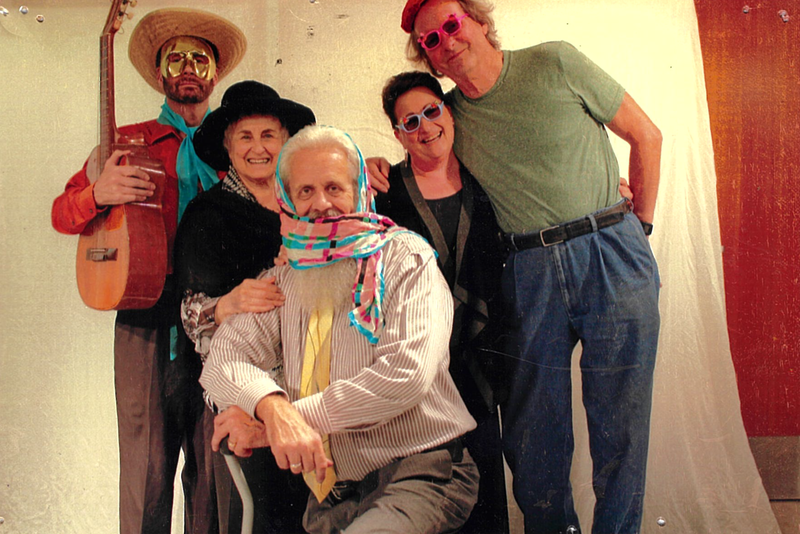 Beth (second to right) with her family and Bob Bates at Inner-City Arts in 2016. Bob Bates presenting Beth with a certification of recognition from the City of Los Angeles in 2008. Join us in honoring Beth’s contribution to arts education and Inner-City Arts at the 2018 Imagine Awards.